Click the button below to add the Hand Dyed Tencel Lace to your wish list. Whimsical Yarn is excited to introduce our exclusive hand dyed yarn, a 10/2 Tencel for your fine weaving and lace work. Kicking off the collection are 9 rich colors with more individual unique colors added weekly. What is Tencel? Tencel is fiber which is also called lyocell made from wood cellulose. It is similar in hand to rayon and bamboo, both regenerated fabrics. However, Tencel is one of the most environmentally friendly regenerated fabrics, for several reasons. Tencel fibers are grown sustainably. 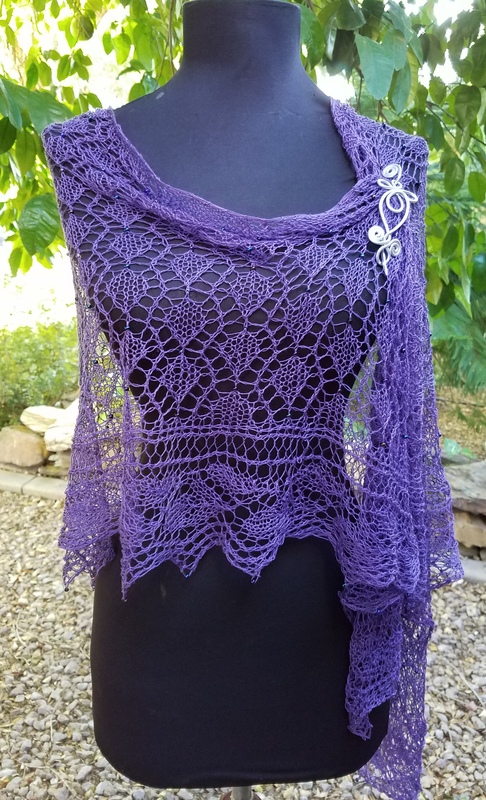 As our FREE GIFT to you please enjoy the Heather Shawl pattern. This pattern will automatically be added to your checkout cart.